MedSpark invites you to join us for the STS (The Society of Thoracic Surgeons) 51st Annual Meeting, January 24–28, 2015. The Annual Meeting will be held in beautiful San Diego, which is known for its picturesque coastline, mild climate, and vibrant neighborhoods. By attending the STS Annual Meeting—the preeminent event in cardiothoracic surgery—you’ll experience thought-provoking lectures from renowned faculty and guests, exciting hands-on learning, an abundance of networking opportunities, and the chance to view the latest products and services in the specialty. New offerings at the 51st Annual Meeting include two parallel sessions on mechanical circulatory support, a session on how quality measurement is reshaping clinical practice, and a session exploring the role of stereotactic body radiation therapy in lung cancer treatment. The upcoming meeting also will expand the opportunities for interaction with colleagues across the globe. 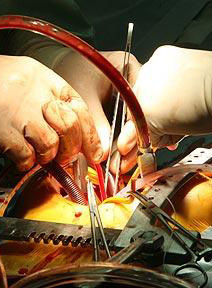 STS is partnering with a number of international societies on exciting new programs that will examine a wide range of perspectives on cardiothoracic surgery topics. Please make plans now to join your colleagues in cardiothoracic surgery this January. You can register at www.sts.org/annualmeeting.